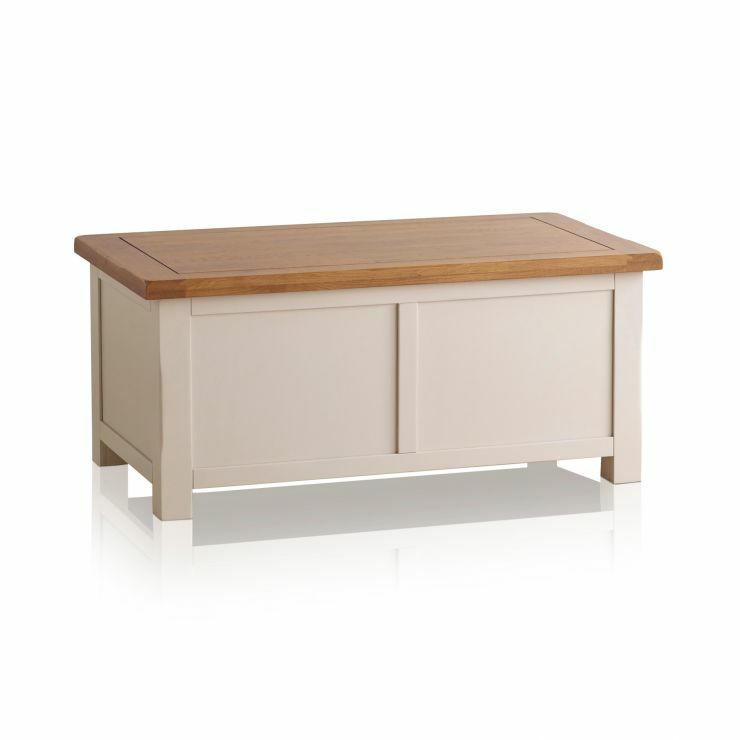 This pleasing, sturdy blanket box has panelled sections with a painted finish. 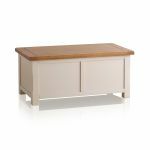 The smooth shade of putty with lavender undertones perfectly complements the and honey-toned, rustic oak top. 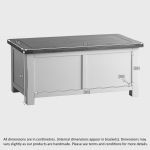 Secured with antique finish brass hinges, a matching lid stay ensures stability whether the solid oak top is open or closed. 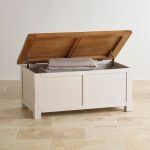 Blanket boxes are useful things to have in the home: store toys in the living room, linen in the bedroom, or keep crafting activities tidy when not being worked on. 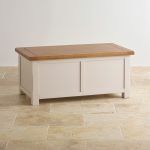 The Kemble Rustic Solid Oak and Painted Blanket Box will keep looking good while controlling your clutter!